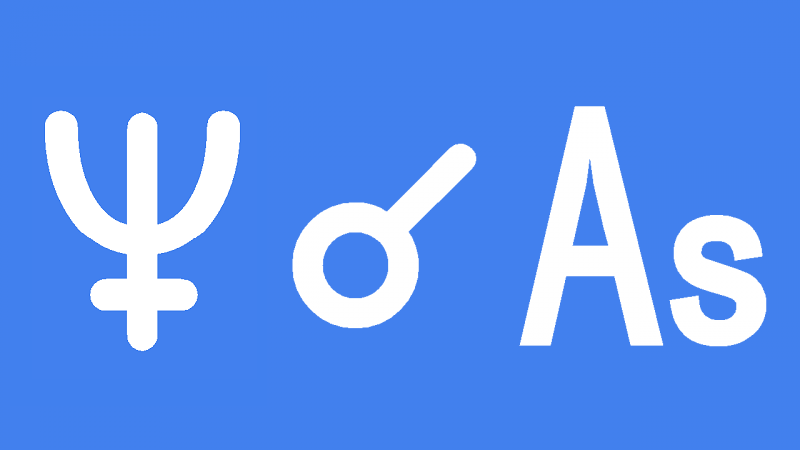 Neptune conjunct Ascendant in the natal chart makes you a sensitive, caring and spiritual person. You see the world from a very different perspective than other people. It is as if you exist halfway between the real world and some higher dimension. Being stuck between the harsh reality of the physical world and the idealism of the spiritual plane causes curiosity and confusion. Trying to understand who you are and how you fit into the larger picture can cause confusion, low self-esteem and isolation. Forming normal meaningful relationships can be a struggle because you don’t understand how you should act around others. You may experiment with different persona for different people and different situation. You are a shapeshifter and can melt away into a crowd if you don’t want to be seen. There will be times when you do want to disappear or become invisible. Being such a highly sensitive person means it is very easy to become overwhelmed by too much sensory input. Not only negative environments but such things as disturbing sounds and smells. Nagging by a parent can be too much to cope with or people invading your personal space. You have to remove yourself or lock yourself in a room in response to sensory overload. It is normal with Neptune conjunct Ascendant to feel different or strange. You soft, caring and sensitive nature means you are easily upset by bullying, violence and anything harsh or hurtful. Try not to feel like a victim or feel you need to save other people. You cannot help others if you do not first look after yourself. Your sensitivity can affect your health in the form of skin rashes, allergies and infections. Misdiagnosis and hard to diagnose illnesses are possible. You may try to block our reality or the spiritual realm through drugs or alcohol. Unfortunately, you are more susceptible to addiction than most others and to poisoning and overdose. Your sensitivity to higher vibrations can be scary too. You must develop skills of discernment and learn how to filter out negative energies or spiritual entities which you see, hear or in some other way sense. With age and self-confidence you will learn to trust your dreams, strong intuition and harness your psychic abilities. Ideals and morals are important to you. You may look to religion, spirituality or philosophy as a framework or moral compass. Neptune rules mirrors, cameras, the stage and screen. Acting and music are ideal outlets for your style of creativity and great imagination. This aspect often gives a flair for entertaining people. Mysteries and secrets fascinate you and you could be a spy. However, it is important to stick to some moral code otherwise you could abuse your gifts and deceive people. Lying and forgery would eventually end in disappointment and disgrace. Transiting Neptune conjunct Ascendant brings confusion, deception and disappointment to your close one to one relationships. The spiritual nature of this transit makes you feel optimistic and trusting, believing in universal love and compassion. This lowers your defenses and makes you more susceptible to being taken advantage of. In fact you should take the exact opposite approach to all dealing with other people. It is as if you are wearing a label on your shirt that says “sucker″ which attracts all kinds of sleaze bags, con artists and junkies. Even if you do meet an honest and genuine person you should take great care not to become involved in any financial or legal arrangements just yet. By the same token you should avoid taking advantage of other people. There is a tendency with Neptune conjunct Ascendant transit to take the easy way out and take short cuts. However, any lying, forgery, trickery or subversion will eventually bring loss and disappointment. Remain honest in all your dealings. Seek professional advice for legal matters, major purchases or business deals. If you do become entangled in some scandal then stop in your tracks and seek help before it gets out of control. Not standing up for yourself can also lead to abusive relationships. Your urge to help others would be better applied to charity work or a nursing home. It is good to help others but know your physical and emotional limits. Address any sign of illness as you are more susceptible to infection and allergies. There is also a risk of misdiagnosis or hard to diagnose illnesses. You may simply feel weak or less sure about yourself. Lower self-esteem is possible and in some cases depression. You are more susceptible to addiction and poisoning. Users should take care not to overdose. Even prescription medicine can effect you more strongly and have worse side effects now. If you can stay realistic, ethical and honest then this transit will be spiritually uplifting. Increased intuition, imagination, creativity and psychic ability can lead to new discoveries and insights or a new career. Keeping a dream diary would be most revealing and great fun. It is possible to find a soul mate so long as you can be sure they are the real deal. You will be attracted to more spiritually inclined people but beware of cults and charismatic leaders. Find your own path to religious or spiritual understanding. Eddie Van Halen 0°01′, Victoria Tennant 0°17′, Immanuel Kant 0°24′, Cat Stevens 0°30′, Tracey Ullman 0°34′, Pierre-Auguste Renoir 0°31′, Ariana Grande 0°46′, Benjamin Disraeli 0°48′, Marcel Proust 0°55′, Mirka Mora 0°55′, Bill Clinton 1°21′, Sir Hugh Greene 1°26′, Rudy Giuliani 1°45′, Paul McCartney 1°49′, Jim Carrey 1°56′, Johannes Kepler 1°51′, Duke William of Cambridge 1°57′. So true! Neptune conjuncts my Scorpio Ascendant. My life has always been confusing. I do understand this and it helps me to make more sense of it all. Thank you so much for sharing ???? Thanks for the feedback Kimberly. My son has this natal aspect and I get so many questions everyday and night. Mr. Jamie I have a question, I have Neptune 21′ and Uranus 23′ in Capricorn conjunct of course, Trine my Ascendant in Taurus what does the Trine do to my Ascendant if you could possibly explain a little in Detail? Thanks for this article Jamie, it is very insightful, I have neptune conjunction my ascendant aswell. Hi Jamie, thanks for the interesting read. I have Neptune on my ascendant with a 2deg orb but I found very little about the description true about me. I am a hypochondriac but I don’t think I have an addictive personality (or are they the same thing?). I rarely consume alcohol and I’ve never used illegal drugs. I definitely need a lot of alone time and spending too much time around people does drain me. I cannot block negative people out and that’s difficult. I do care very deeply for suffering animals and some people. I don’t have issues with forming meaningful relationships at all and I’ve never changed my personality to fit in with different situations. That part is completely untrue. I also don’t believe I have any psychic powers 🙂 I rarely lie, let alone deceive people. If I don’t want someone to know something, I just don’t say anything. Could my sun sign and moon sign overwrite this Neptune aspect and that’s why it doesn’t fit me? I also have Jupiter on my ascendant and 5 deg away from Neptune forming a kite formation with my moon, Pluto and Saturn as the anchor. Its a very confusing aspect honestly! (A female friend who I had a crush on has this). Now she will be like this, the very next day she will be like that, then her priorities change and she becomes something else. Its like she wants but doesnt want, contradicts herself all the time (I partially blame her moon square venus and mars for this). Her mercury square pluto only worsens things as well. She is now married though, but her recent photos show the effect of the above mentioned aspects (intense stress lines with a touch of depression), along with subtle face injuries (mars oppose uranus, domestic violence?). I’ve always been curious as to the reasons for her back and forth personality, her nep/asc also constitutes for her extreme sensitivity (any slight remark can make her either shrink or bite back hard). Aspects in astrology makes so much more sense the deeper I dive into it. At first it was the sun, moon and planet personality only, now learning about aspects and that they pinpoint towards the more hidden areas of the psyche, thus can finally give me a conclusion on things. Good to hear you are getting right into it Pete. I still think aspects are the most accurate method in astrology. My son has Neptune rising and no one really understands him. Neptune transit to natal ascendant. It all sounds pretty negative and pessimistic, does it have to be that way? What if the ascendant is Pisces and Neptune in the natal chart is very well aspected by sun and moon? Yes, please answer as I have this aspect approaching also. Someone I know well had this transit on and off from about April 2016, using a 2-degree orb, till the end of January this year. During this time span, the conjunction was exact twice, towards the end of 2017 and again early in 2018. My friend was in transition from one intimate relationship to another. When the “old” person refused to go and reminded her of a promise she had made to see him through a traumatic experience (her natal Neptune squares her Vesta, could this reflect the vow she had made to stay devoted? ), she was manipulated into staying. Looking at this from the outside, it seemed to me that he was long over the trauma and was now malingering. But who can see that deeply into another person? Perhaps I was wrong. My friend didn’t stick up for herself and the relationship became quite abusive on top of her feelings of confusion, deception and disappointment, as you describe, Jamie. He taunted her about her new love and used his “hurt” to call her some ugly names. Ok, she made a promise. Now she wants to be released from it. Shouldn’t he let her go? This is not love! She didn’t handle the situation with her new love very well either. She took a long time to admit that she was not going off with him and left him hanging and generally left him confused and hurt (but he’s still there, hanging on and hoping!). Not that they’re together – but they have a strong telepathic thing going and even though she doesn’t often dare to write to him, they manage somehow to stay in touch. I suppose the telepathy – which I’ve witnessed, it’s amazing! – would fit with what you said about increased intuition etc? When I read what you said about this difficult transit, Jamie, I would have laughed if there hadn’t been so much hurt involved! You also said she shouldn’t get involved with the new person yet – well that’s not happening right now, is it. She has been having a lot of trouble with her feet. Feet = Pisces!!! The cause of her pain was difficult to diagnose and ended up being ascribed to a number of different nebulous causes. She also went through several bouts of very deep depression. According to the orb I used, this transit is now over (though these outer planets do LINGER, don’t they) and my friend has not done what she knows in her heart is right for her. She is in bed with very severe flu.